The Giga Tent Mt. 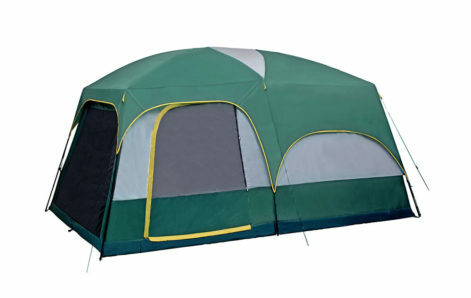 Springer Family Cabin 8 Person Tent is a large free-standing camping cabin tent with two rooms plus a large combo room. This 10×15 tent features straight walls, an 86-inch center height, and a removable room divider that gives this camping cabin tent plenty of interior space. 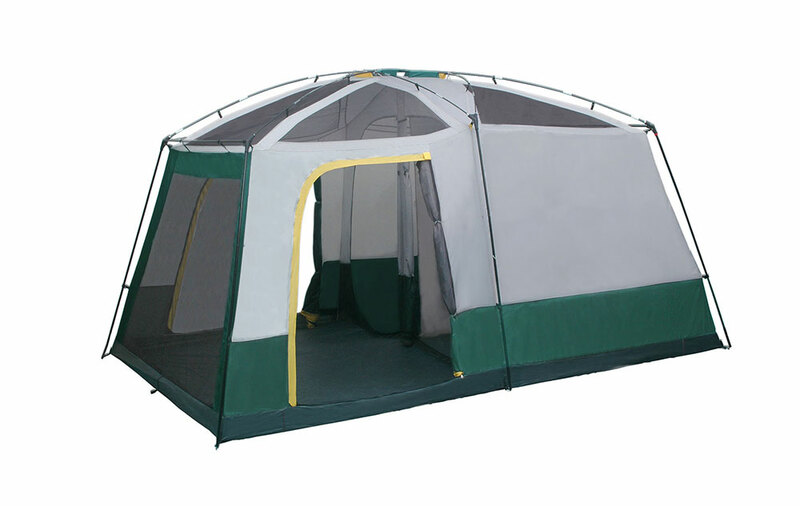 The combo room in the tent’s front can be used as a floored screen room or as a sleeping room with large windows. Two twin-track doors on the sides of the combo room provide entry options. 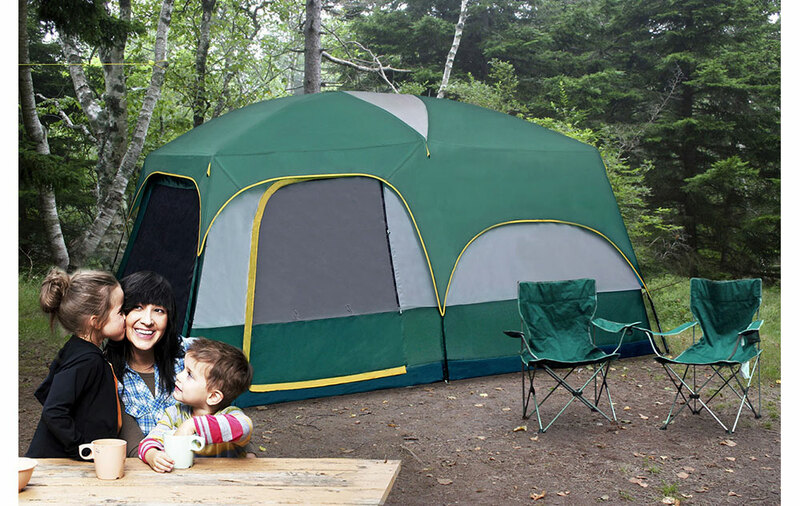 A full-cut rainfly provides superior rain protection to the entire camping cabin tent while allowing the windows in the sleeping room to stay open. Finally, the Giga Tent Mt. 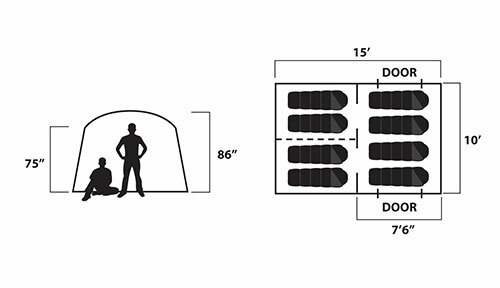 Springer Family Cabin 8 Person Tent boasts large windows and large roof vents that minimize condensation.